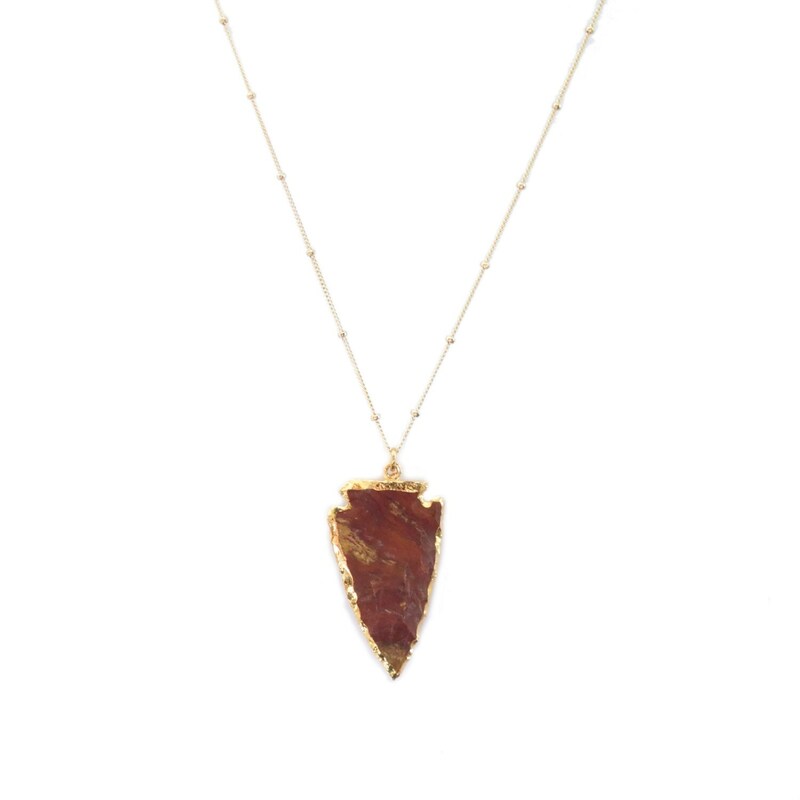 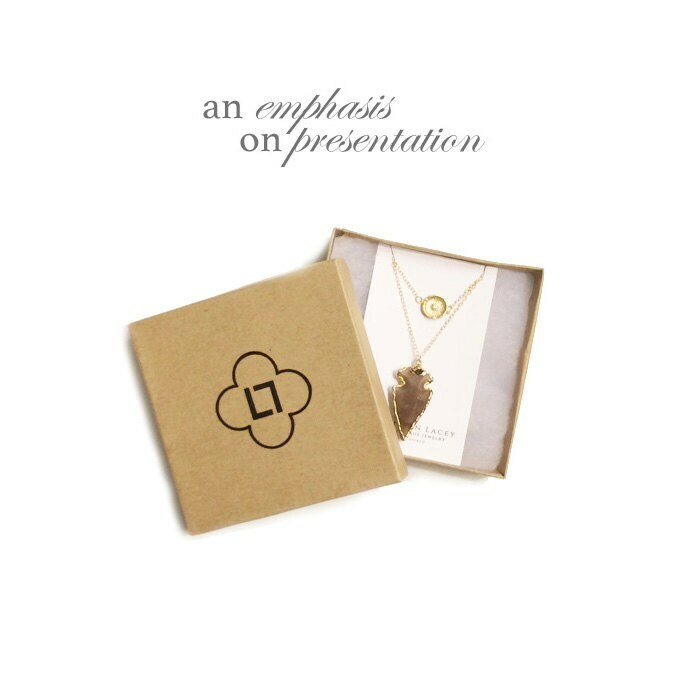 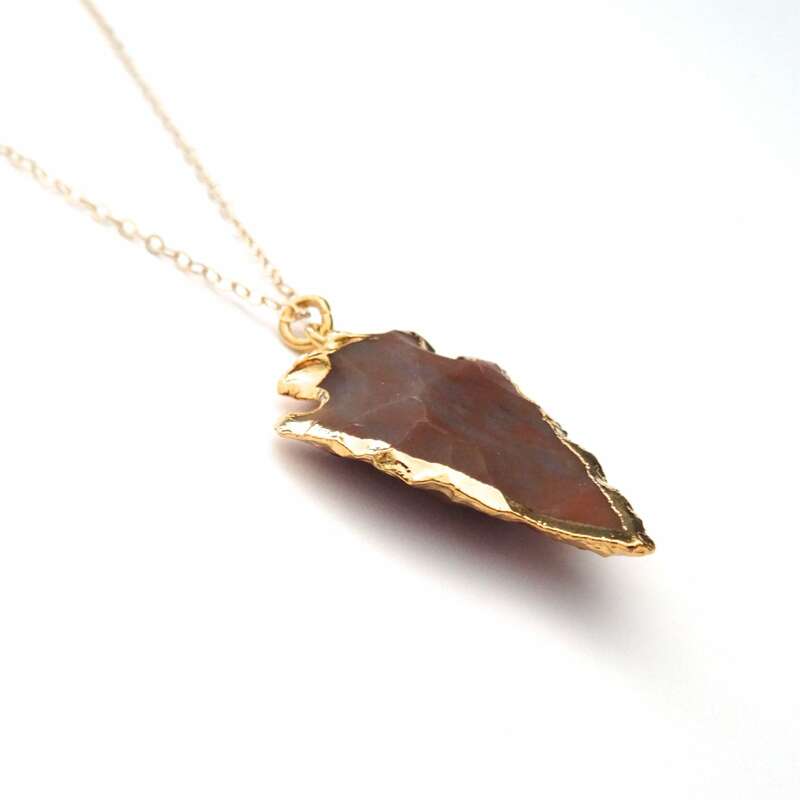 This minimalist boho necklace features a genuine stone arrowhead with gilded edges suspended from a delicate little 14k gold filled chain. 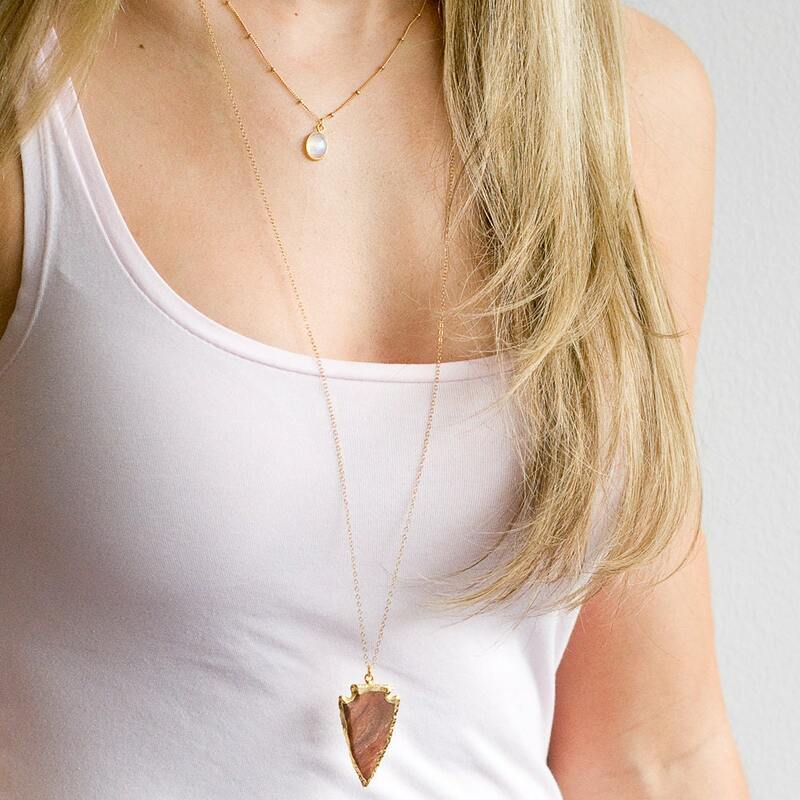 This is a great piece for daily wear and is made to last for years. 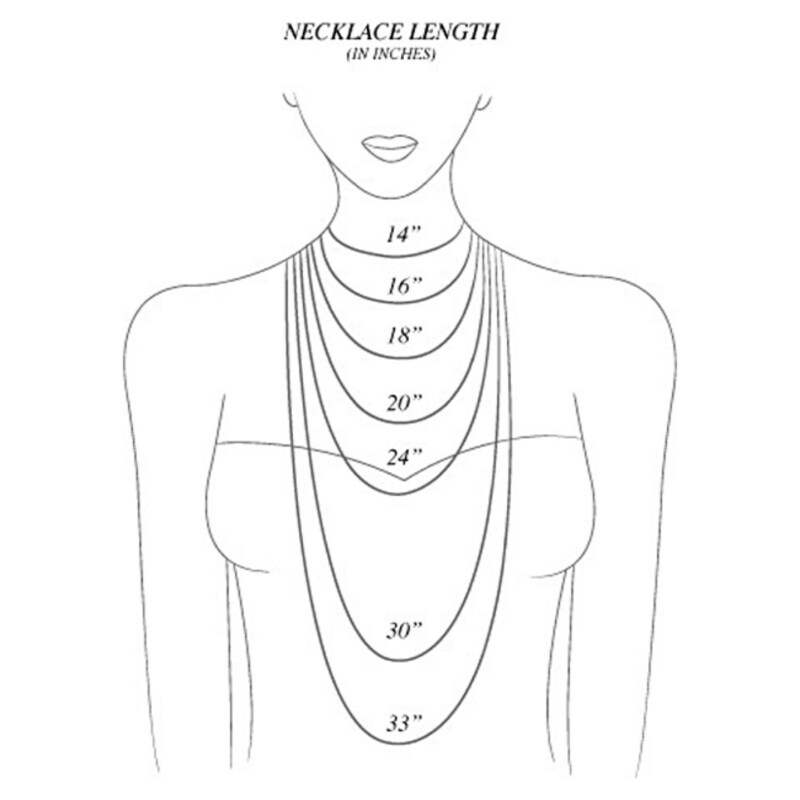 The model is wearing it at 28" and she is 5'2" tall.